Here’s an interesting story in photographs depicting the life of Vivian Kubrick, daughter of Stanley Kubrick prior to their estrangement. 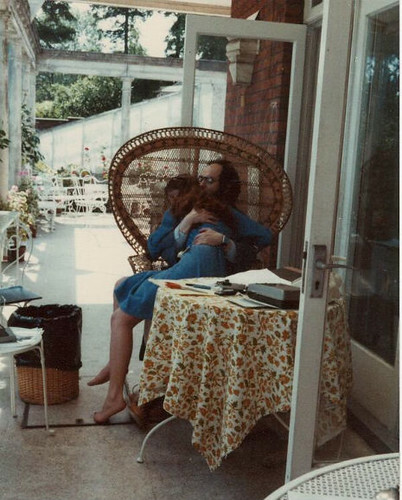 She posted the selection of photographs taken over the years as she worked scoring some of Kubrick’s films such as Full Metal Jacket and also just simply growing up his daughter. She basically joined the Church of Scientology and despite her family’s pleading was lost to them for many years. It has been suggested that Eyes Wide Shut was Stanley Kubrick’s “requiem for his lost daughter”. She did attend her father’s funeral with a Scientology handler.